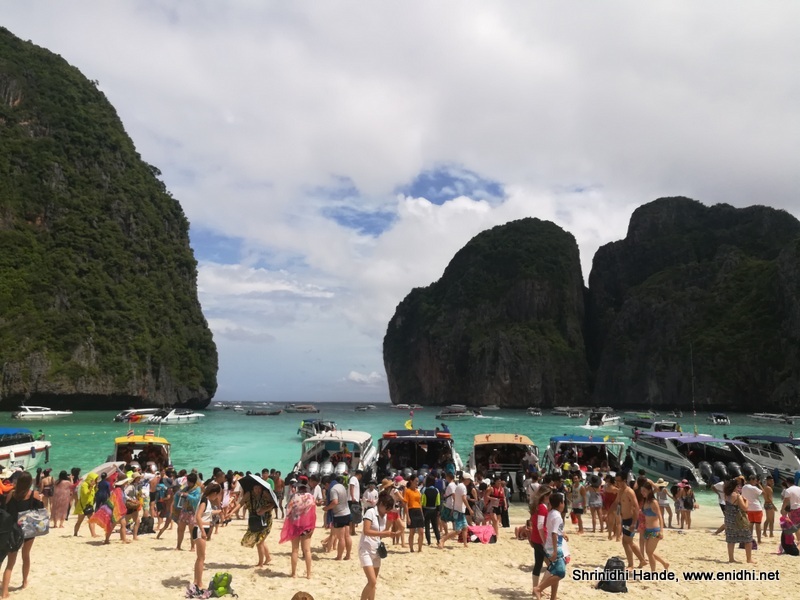 Thailand has decided to close Maya Bay off Phi Phi Island from June 1st till end of September 2018 to help rejuvenation the beach. 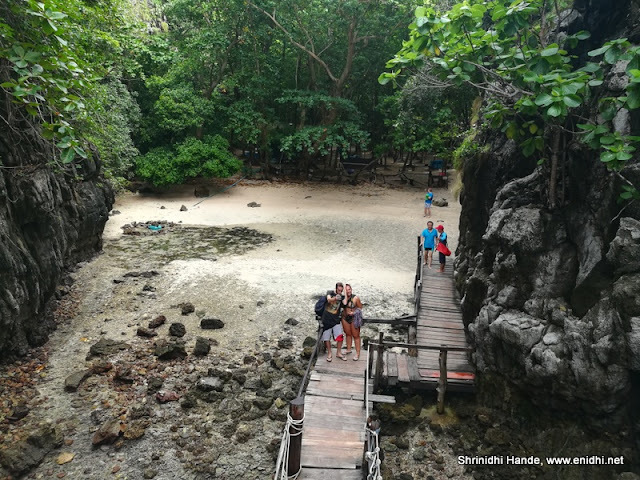 [Read on CNN] This follows the decision by Philippines to close Boracay island for tourists for 6 months. 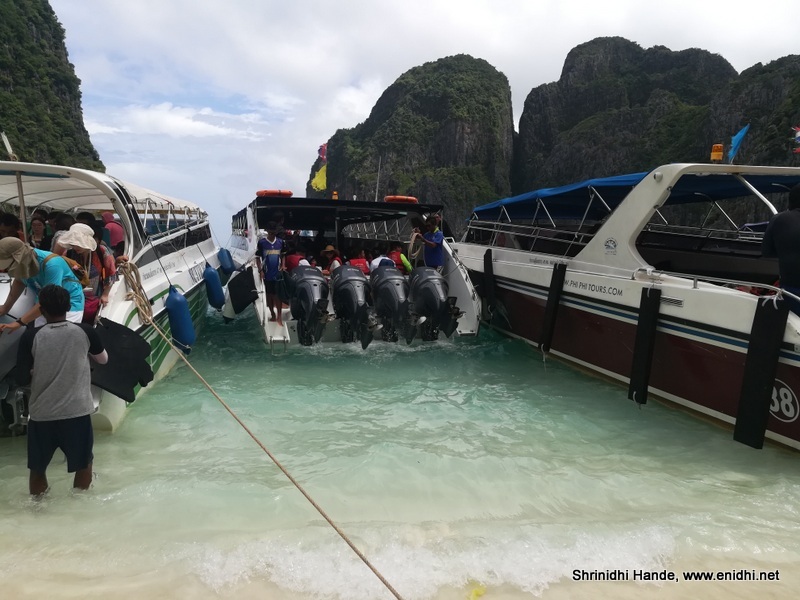 Maya Bay has entry from 2 sides- the regular one is from the front, where speedboats reach upto the shore and offload/onboard tourists. During peak hours, the beach will be full of speedboats, baring a small portion earmarked for tourists to swim. More boats may be waiting in the ocean waiting for some of the speedboats to move out. 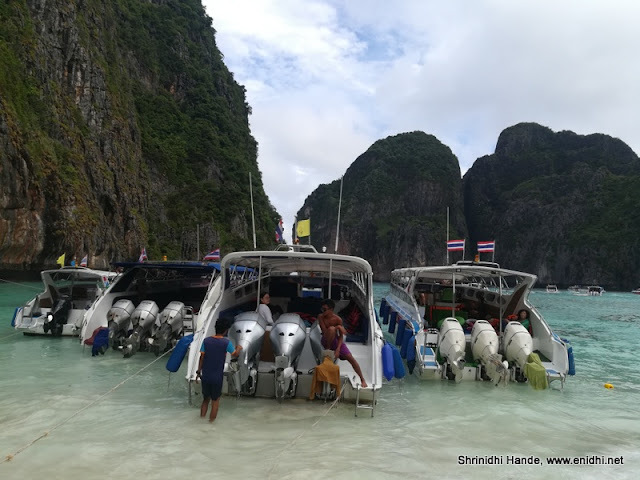 The other entry is from backside- where bigger n cheaper wooden boats arrive- if you’re arriving on wooden boats then you will have to take a kayak to the ropeway and climb your way up to enter Maya Bay. This option is not recommended for elders and small kids. The wooden boats are usually cheaper than speed boat. All Maya Bay visits cost a tax of 400 THB besides the boat fee. 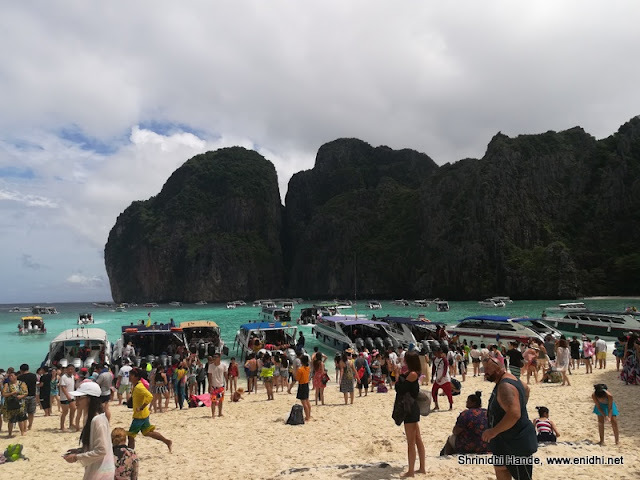 What to do in Maya Bay? What is the environmental concern? 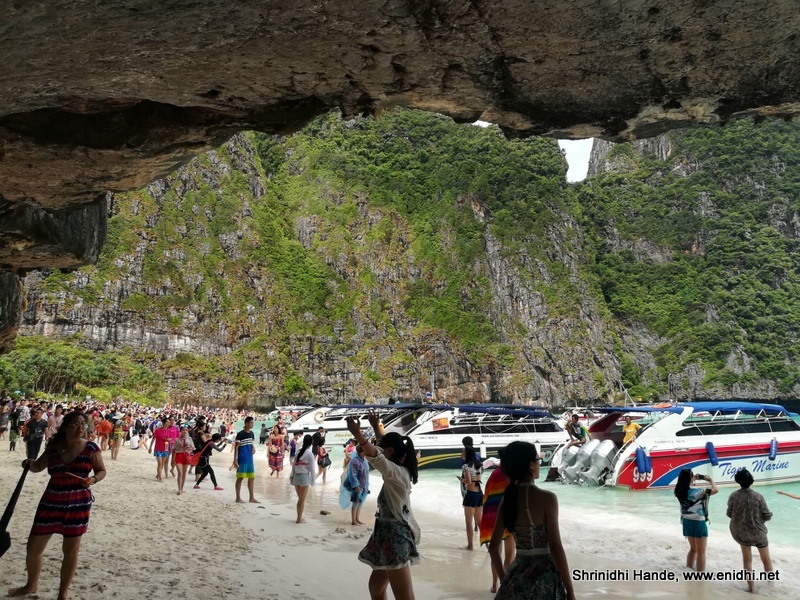 The Maya Bay area is too small to handle thousands of tourists every day. 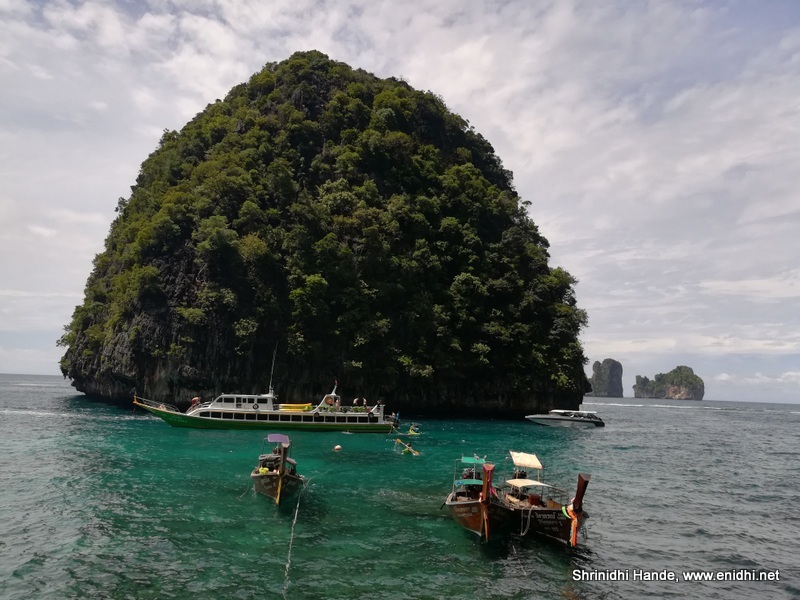 Though Thailand has hundreds of similar areas (clear beaches amidst giant rocks), a few get overly popular because they are featured in movies. 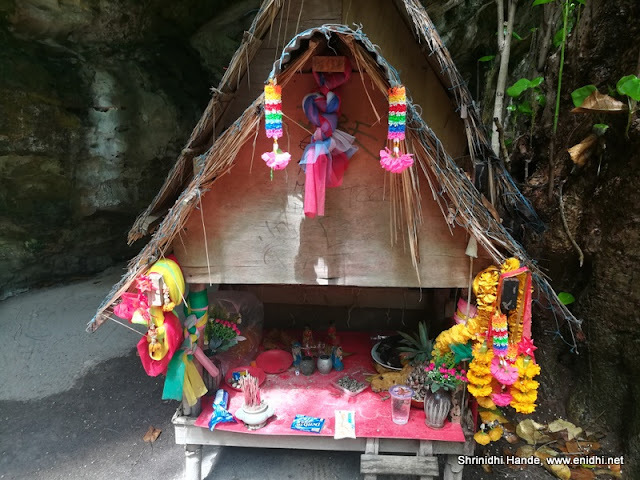 Because Thailand depends heavily on tourism, it needs newer attractions and reasons to make tourists visit and spend their money. Unfortunately when large volume of tourists converge on some select locations, it is said that the area suffers ecological damage- corals in the area may get damaged, garbage and pollution (diesel leaked from boats) spoils the water, harms marine life and so on. 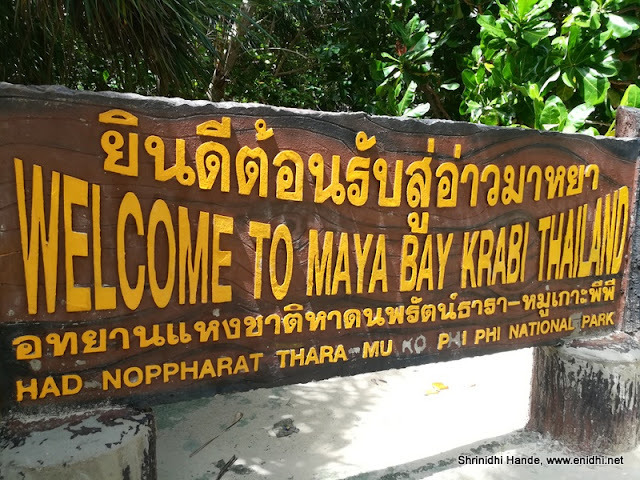 Though environmentalists been demanding action since years, authorities have finally woken up and taken action to temporarily close Maya Bay. James Bond Island is another one which needs similar action. Maya Bay doesn’t have any hotels or homes or any permanent structure. There’re only a few toilet buildings and some hut like structures probably used by caretakers. There’re no big restaurants either. But the number of visitors is huge. 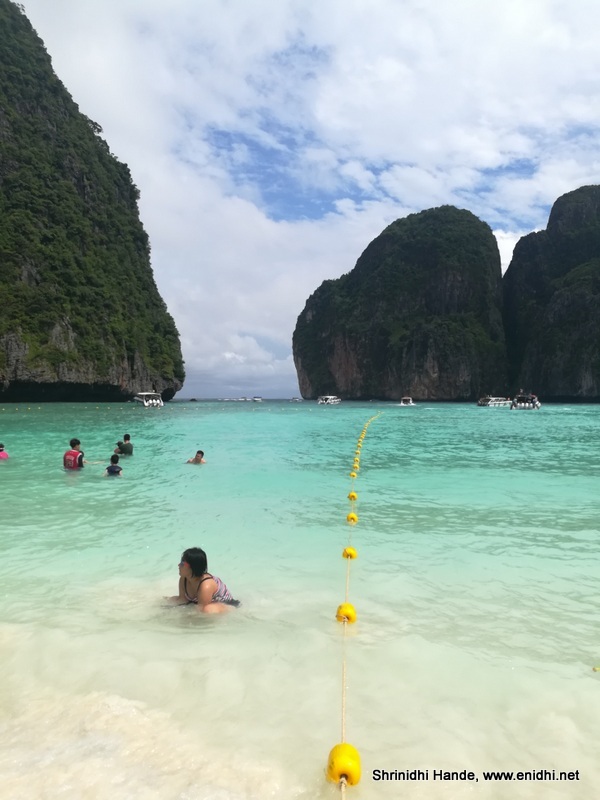 So I think it is a good decision to give Maya Bay a break it needs. Let it recover. 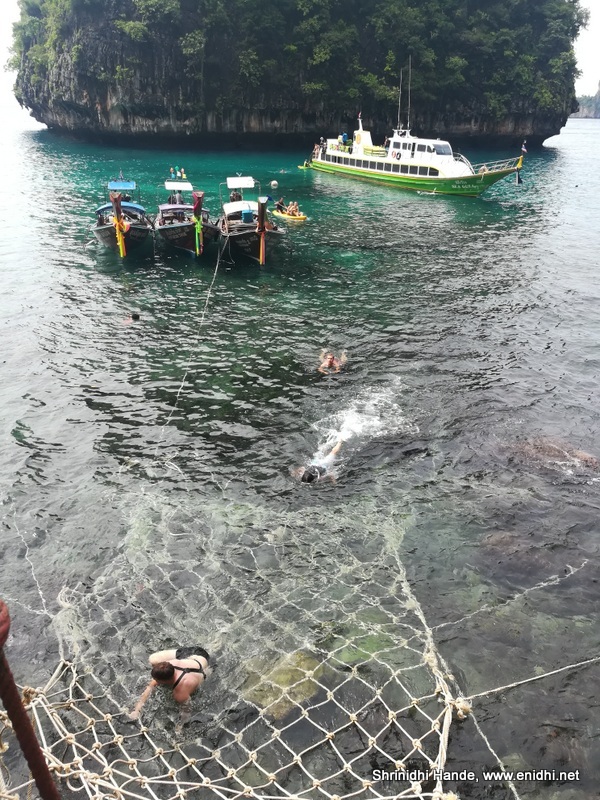 Tourists meanwhile can focus on numerous other attractions Thailand has on offer. It is the wonderful place to visit in Thailand. When it will be reopen?